1 Mile Family Fun Run/Walk featuring Wim Hof, "The Ice Man" AMAZING! Approximately 2,000 people joined the foundation on Sunday, October 14, 2018, at 8:00 am, at the Maryland State Fairgrounds to support our efforts to fund, conduct, and promote evidence-based research on how holistic treatments - such as exercise, nutrition, and healthy lifestyle choices - benefit mental health. Together, we raised $300,000! 100% of which will go towards a two-year, $1.2 million, gold standard study to determine how natural interventions that promote positive stress, or restorative relaxation, impact stress, depression, and biological aging. Thank you for allowing us to Meet Our 2018 Goal Registrations! JWB_Thank You from Zest Social Media Solutions LLC on Vimeo. Thank you to all of our participants who made the 2018 JWB Resiliency 5K & 1 Mile Family Fun Run a resounding success. Runners and walkers can view their personal times by clicking the button below. 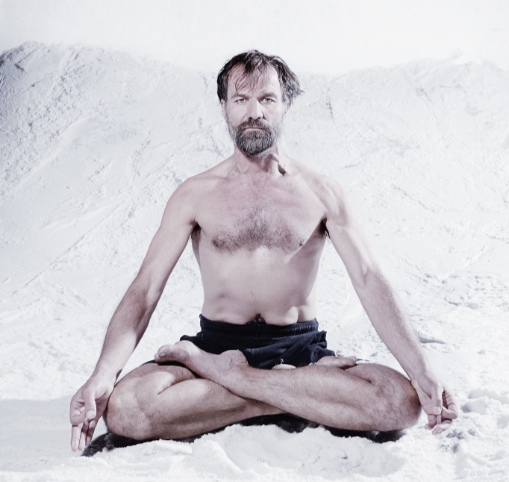 This year's race will be part of an entire weekend featuring "The Ice Man" Wim Hof! JWB VIRTUAL Resilience Race Champion Event! 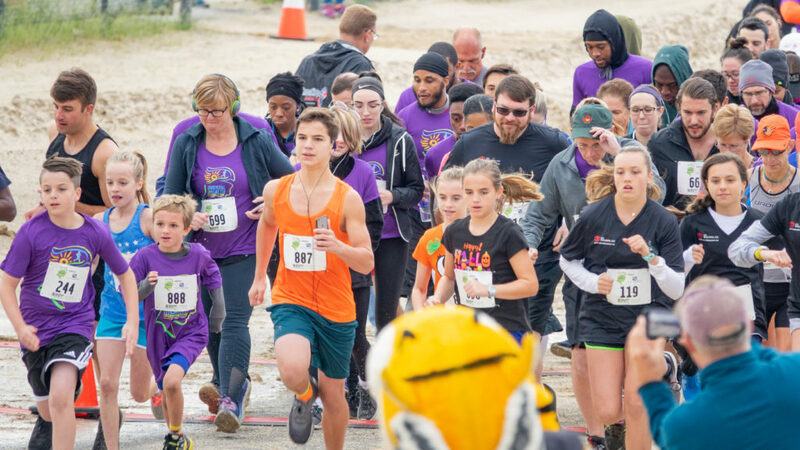 This year, you can support the 2018 JWB Resiliency 5K and 1 Mile Family Fun Run/Walk VIRTUALLY alongside world-famous international extreme athlete Wim Hoff and 2,000 runners, walkers, volunteers and champions of the cause to fund, conduct, and promote evidence-based research on how different forms of holistic treatments - such as exercise, nutrition, and healthy lifestyle choices - can benefit mental health. That's right, make a difference from wherever you are! Festivities at your favorite location real-time alongside the event in Baltimore with Wim Hof. The chance to win a sports-themed prize as an individual participant. The chance to win a group prize as a team. The mission of the John W. Brick Mental Health Foundation is to fund, conduct and promote evidence-based research on how holistic treatments - such as exercise, nutrition and healthy lifestyle choices - benefit mental health. We are currently funding a two-year, $1.2 million, Gold Standard study to determine how positive stress, in the form of 3 different types of holistic treatments, affect depression. The study is being conducted by the University of California San Francisco and is under the direction of renowned researcher Dr. Elissa Epel. 100% of all money raised from the race will go towards this research. Get a Team - Support a great cause! Organize a Team for the John W Brick Resiliency 5K and Family Fun Run/Walk and have a chance to be entered for a great team prize. Call 410-252-8058 ext. 225 to find out more. Only teams of 20 participants and over quality for this opportunity. For everyone who joined us for last year’s 2nd annual event– THANK YOU!!! This year, which will be the 3rd annual race, we have an even more amazing event planned featuring a new location, a new course, a new date, an expanded post-race village and Kid’s Fun Zone, cash prizes and tons of surprises! The course will take you through the historic Maryland State Fair Grounds leading you to a finale with special guests, entertainment, Kid’s Fun Zone and more where you can celebrate your accomplishment. Runners, walkers and supporters of all ages are welcome! We would greatly appreciate your efforts in fundraising to raise money for the John W. Brick Mental Health Foundation's research. More details about our cause can be found on the “Foundation” link on our home page. At the conclusion of the registration process you will be asked if you would like to fundraise. You can fundraise as an individual or as part of a team or simply make a donation. This year we have made it easy for you to set up your own fundraising page and contact your friends and family to enlist their help. Even if you are not a runner or walker, you can be a part of this amazing day. In order to make our event a success we are in need of pre-event as well as race day volunteers. You can help with pre-race registration, crowd control, assist at the start or finish lines, help man a water stop, be a course marshal to help direct our runners on the course, hand out water and medals at the finish line. Volunteers make or break an event and are SO appreciated by all of the participants. Thank you in advance for your interest in volunteering. If you or your company would like to become a Festival Village Vendor / Exhibitor, please fill out the form linked here. Co-founder of the John W. Brick Mental Health Foundation, Victor Brick speaks about The 2018 JWB Resiliency 5K & 1 Mile Family Fun Run/Walk featuring WIM HOF, "The Ice Man"